IT IS ESTIMATED THAT TRILLIONS OF DOLLARS OF WEALTH WILL BE TRANSFERRED BETWEEN GENERATIONS OVER THE NEXT FEW DECADES. Much of that wealth will be placed in trusts to provide for surviving spouses, children, grandchildren, and charities. While the role of executor or trustee seems relatively risk-free for someone with financial and business experience, there are potential pitfalls like conflicts between beneficiaries, unique family dynamics, and financial losses which can all lead to tremendous stress and even lawsuits. 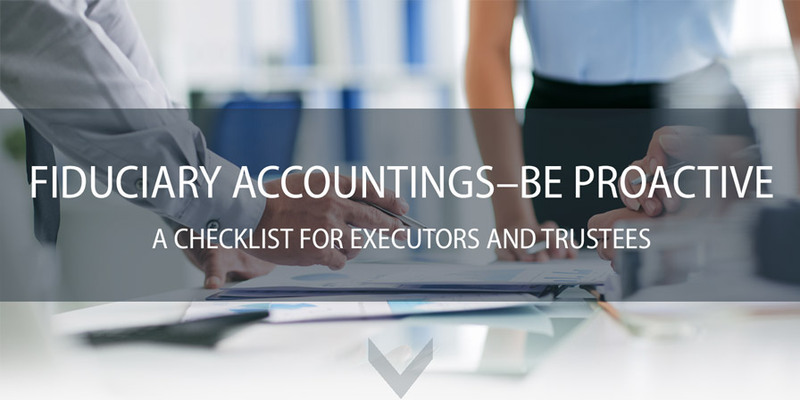 This checklist will help determine whether you should consider proactively preparing a fiduciary accounting. Fill out the form below to request your copy.